RE/MAX in the Hills and RE/MAX Classic Merger in the News! 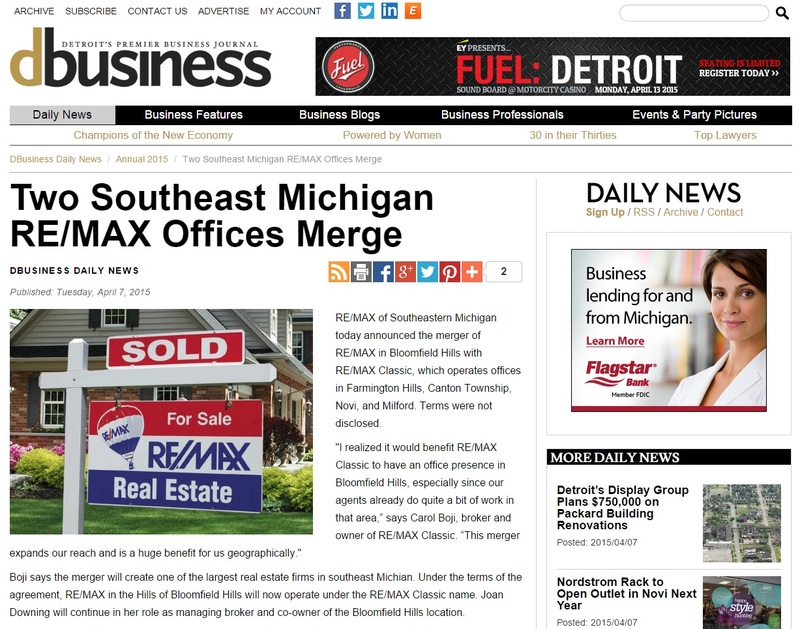 Just recently published in DBusiness Magazine, our recent merger with RE/MAX in the Hills in Bloomfield Hills. Great write up on this fantastic new phase of RE/MAX Classic of Michigan!